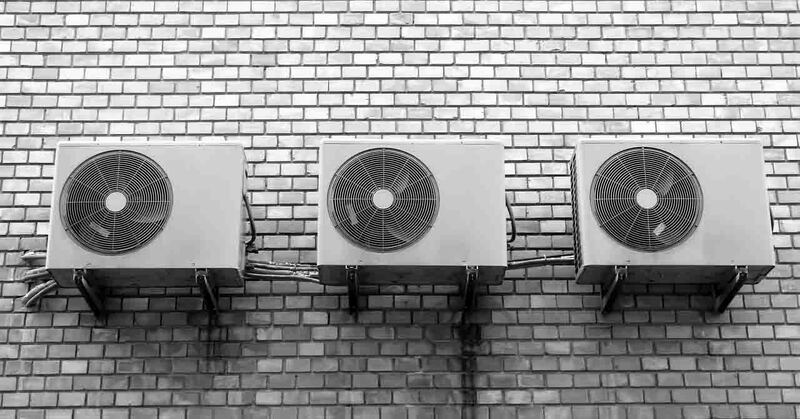 While the thought of having to deal with a faulty air conditioning system can be daunting, having to replace a whole system would be infinitely worse. Air conditioning repairs can be a simple process for professionals who do it every day, however, neglecting problems with your system can result in major consequences. A faulty unit, if not taken care of, will almost certainly lead to costly repairs or in the worst cases damage to your property or even injury/illness. Do you want your air conditioning unit to have maximum efficiency, saving you time, money and providing a cool atmosphere throughout the summer? Do you want to save money on air conditioning repair? Do you want to ensure that your unit has a long, productive lifespan? Do you consider the safety of your belonging and those around you to be important? Of course you answered “yes” to all of these questions! So today we’ll will tell you why it is important to stay on top of maintenance when it comes to air conditioning units at home or at work. Heating and ventilation experts can solve most smaller problems with ease so it’s worth calling them whenever you think something is wrong. Efficiency – Throughout their lifespan, air conditioning units develop small, easily repairable problems which put added strain on the system. This means the unit has to work harder to provide cool, clean air. Because of this your air conditioning unit sheds FIVE percent of its overall efficiency every year it goes without professional maintenance. Simply calling a HVAC professional and rectifying this issue can cut monthly energy bills by up to 25%, saving you money and leaving a smaller carbon footprint. More Frequent Repair Jobs – Whenever a HVAC contractor comes to take a look at your air conditioning unit they will perform a total check of the whole system. They will make sure that the air filter is not clogged, which is a smaller problem and they will ensure the compressor is not leaking. This thorough inspection means that they can’t develop into bigger, more costly repairs in the future essentially saving you money in the long run. Don’t book these regular inspections though and these small issues can become big problems, requiring specialist attention and costing you more money to put right. System Lifespan – If you decide to ignore the smaller faults in your AC they can turn nasty. As just mentioned, smaller problems turn into much larger ones which multiply and eventually cause your system to fail permanently. This won’t just be an air conditioning repairs job, it will be a full on air conditioning replacement and cost significantly more money. A well maintained unit can last for many years whereas a neglected one can fail surprisingly quickly. Safety – This point cannot be overemphasised. A malfunctioning air conditioning system can be very dangerous if left to its own devices. If you notice your unit getting overly hot then do not delay in calling a professional HVAC contractor, as this issue could lead to a fire or electrical problems in your home or workplace. In addition to this, many health risks associated with faulty air conditioning units can be avoided by simply hiring the right people to check on your units regularly. If you live in Toronto and own an air conditioning unit then schedule an assessment with a company with over 20 years of experience in heating and ventilation services. Avoid the stress of frequent air conditioning repairs, the drama of a permanent failure or even worse – a fire by calling Tropic Air today on (647) 955-8625. Now, these is a good HVAC company !! Fast and friendly service. They didn't try and sell me a bunch of extra stuff. Tech took time to thoroughly explain the issue and show me stuff about my house I didn't know. Happy Customer. My 11 year old A/C stopped working and rather than spending a lot of money sourcing the leak and replacing the coil, I decided to replace the unit with a larger one since the old one was under-powered for the size of our house. After checking various reviews, I contacted 3 companies and decided to proceed with Toronto Heating And Air Conditioning Company due to the excellent advice given to me by friends. I wasn't disappointed. They did an excellent job and now I'm cool during the hot days. Got Duct cleaning done by these guys. They were at my home on schedule, I was very pleased with the work they did. We had major renovations done and there was a build up of dirt and dust, they cleaned and sanitized the furnace. Loved the service overall. Thanks Loren for coming and servicing our A/C today. Getting ready for the summer called these guys and they made sure everything runs smoothly since the A/C was giving us problems last year. Thanks again. We needed to replace our existing A/C unit and we called these guys for a quote. The staff was extremely helpful and help us some great products for our home. We are happy with our purchase and the great service and will be using this company again in the future. We recently had our furnace. Christopher the technician that did the job was very professional, efficient and on time. This is the second time we've had them service our furnace since we've had them install it a few years ago and are very pleased with our purchase and the service they provide after the fact. I would recommend this company to anyone. I received excellent and above board service as they fixed my broken down furnace on one of the worst night of the year (New Year's Eve with temperatures dropping to -20c in Toronto). We were so blessed they came as we had called over a dozen other service providers which none of them got back to us due to the holiday. Thank you again Loren for your amazing act of kindness! Amazing service, woke up on boxing day with a broken furnace. Called at 8:30am, tech was here by 10am to fix. I will definitely use their service in the future! My AC was on verge of breaking last year, so I was looking for a replacement this Spring. I had decided to use Toronto Heating And Air Conditioning Company from recommendation from my sister. They didn't disappoint. They came made an assessment of charges and got the job done. Awesome service. Absolutely happy with the service from this company. The day of the service the techs called ahead and arrived promptly. The duct cleaning was superb, as well as the effort to make sure my concern of air flow was addressed. Terrific! Let the Toronto Heating & Air Conditioning Experts Solve Your Problems. Call us today!